Nate Raines warming up as catcher. 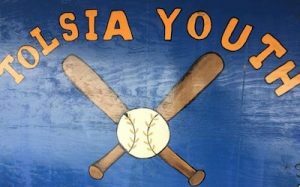 Spring training started Monday, March 25, 2019 for the Tolsia Youth Baseball League. The league consists of children from around the area including Fort Gay, Crum, Prichard, and Dunlow. The league is divided into divisions based on age: tee ball, boys’ baseball (7-9) and (10-12), and softball (6-9) and (10-13). Youth League President David Fyffe feels that there has a been a good turn-out for the 2019 season. There are roughly 105 kids in the league right now. “A lot of parents don’t seem to think about things like that when they take a season or two off or go somewhere else to play. That hurts the foundation of our athletics programs here in their own community. We want to help build the future baseball and softball stars for Tolsia High School,” explained Fyffe. 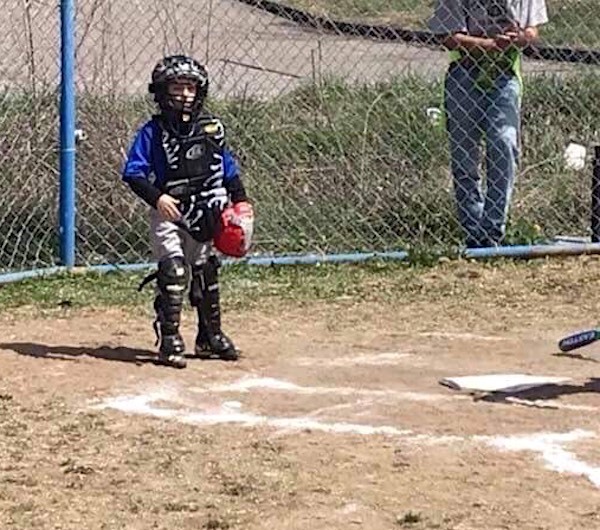 The Youth League has been hard at work making improvements for this 2019 season. They have finally finished the construction on a second dugout. There is also a t-ball field for the younger kids. Fyffe pointed out that there are always some small improvements being done to make the field look better. The Youth League signups will continue through Thursday, March 28, 2019. The Youth League encourages everyone among the community to come out and support the kids. Additionally, they are always looking for sponsors to help grow the league and to make further improvements. **The 2019 season schedule will be announced at a later time. You can always contact the Youth League President, David Fyffe or check out the league’s Facebook page for more information.